TRW-4432-433 is a fully integrated high-power radio module, transceiver performance at very low power consumption value of the maximum efficiency. This module is mainly used in the ISM (Industrial, Scientific and Medical) and SRD (Short Range Device) frequency band 420MHZ ~ 450MHz, Built-PA, output up to +19 dBm. 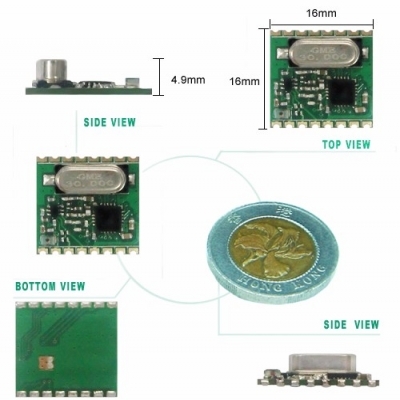 SPI interface can adjust the power, flexibility control the output power, through the SPI interface control, can control the output and receive data, and read out the RF IC´s temperature in order to keep abreast of the module is in the operating temperature range.